Twenty-six hungry men attended the Fish Fry! The Men's Fish Fry was a fantastic event! We had wonderful food and even better fellowship. 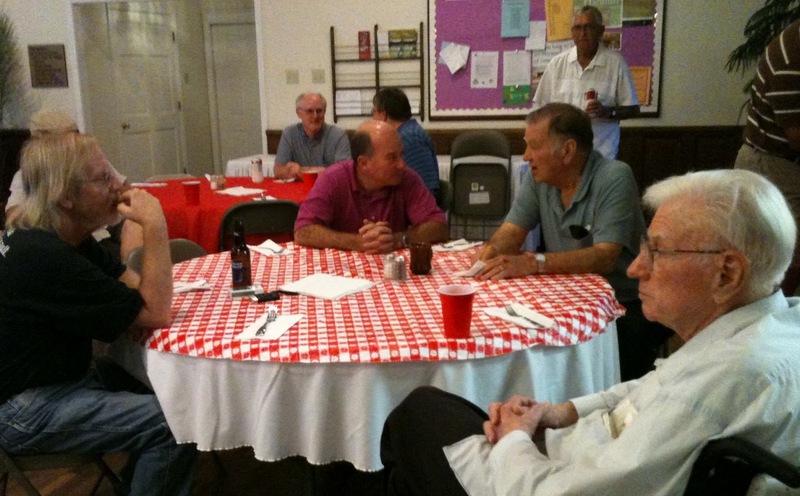 The men of St. Alban's have decided to meet regularly on Wednesday evenings at 6:15 p.m. Occasionally, the meeting will include supper or a short business meeting - but every meeting will provide a chance to study, talk, learn and pray. The first meeting will be held on Wednesday, September 19, 2012, from 6:15-7:15 p.m. All men are welcome and encouraged to bring a friend. Join us!